I wrote earlier about inspiration and how it comes in various ways. So when I was leafing through an old folder and notebook, I came across several years worth of old recipes and ideas. 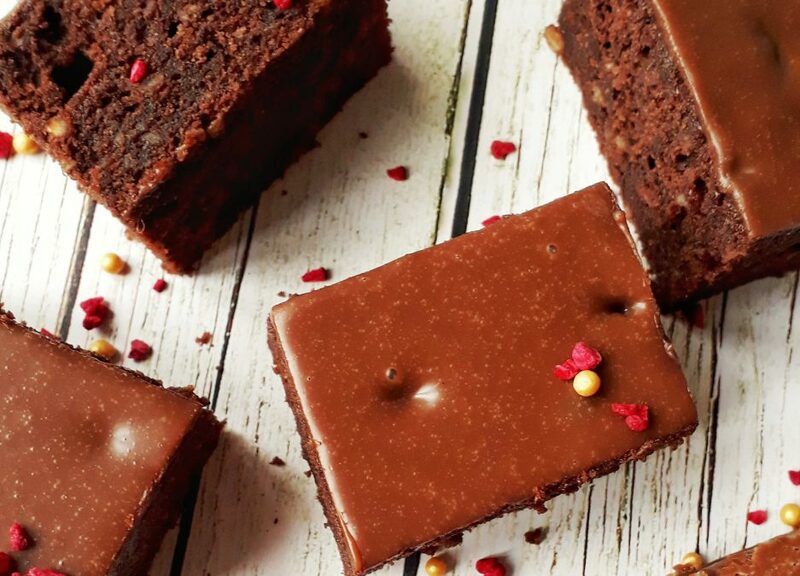 Ones that needed updating and ‘glutenfree-ing’. These recipes and ideas have various origins and stretch almost to the beginning of my career. At a time when allergies and intolerances were certainly unheard of to me. And bless you, should you be a vegetarian! These recipes are both sweet and savoury and many are from the menus I cooked from. Recipes and ideas passed down from chef to chef to ensure some form of standardised dish presentation. All this, way before establishments started to formalise their own actual recipes and produce physical trade cook books. There are many tales to tell and as I went through the random pages of my ‘Little Blue Book’, and sheets of recipes and menus, many fond memories came flooding back. But those I shall save for another day. Perhaps….. But there was one set of recipes that bears some relevance to ‘today’. I’m not entirely sure how the recipes were acquired or even how I managed to charm them out of such closely guarded secrecy, from the hands of 2 fellow students. But of the 2 sheets of paper I had, only one remains. Of the ‘lost’ recipes, I only remembered 2 of them, and I have managed to track down one of them. The other will remain undetected. The recipes were for school dinner puds. Good old-fashioned comfort food. Of days gone by; of walking to school 3 miles away (it felt more), of long summers and white Christmases. The two students (as was I) were dinner ladies, gaining valuable knowledge and qualifications at a College in Suffolk. Now, I must have enjoyed school and its dinners, because I can’t ever remember complaining and the memories I do have are fond and warm. And I most certainly remember the puddings! Sadly I can’t locate ‘Chocolate Crunch’, but ‘Toffee Cream Tart’ and ‘Lemon Love Cake’ are mine! As well as ‘Macaroon Tart’ and this I share with you now. Originally baked as a whooping traybake (served with warm custard) I have adapted this to gluten free of course and amended further to make it mine. But the origins remain. And as Noah starts school this year, my hope for him, will that he too can enjoy his school dinners (especially as they are free!!). That he too can have fond memories in the years to come. That having Coeliac Disease does not mean he misses out. The recipe requires a 7cm pastry cutter and makes approx 24 tartlets. 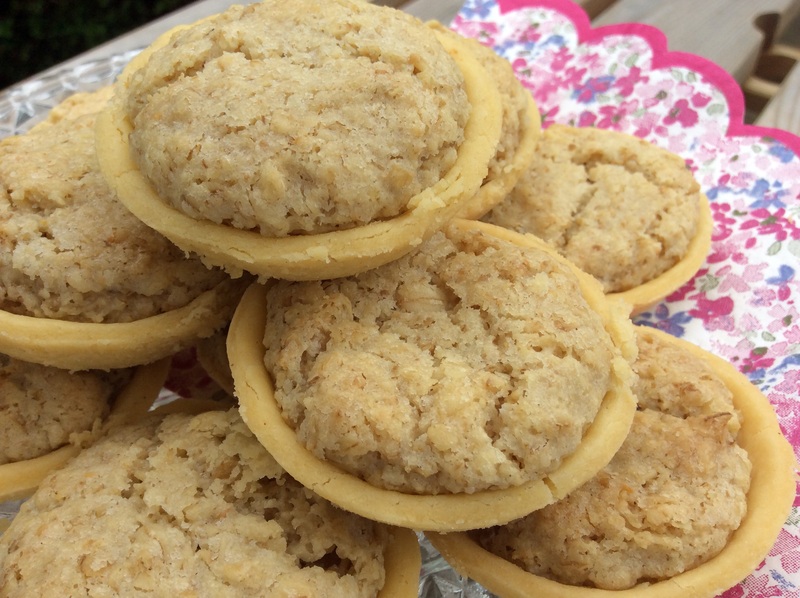 The Pastry – Rub 200g Dove Farm Gluten Free Plain Flour with 100g butter to form fine breadcrumbs, then mix in 1 egg yolk, 1/2 teaspoon of Xanthum Gum and bring to form a dough with a few drops of cold water. Mould into a dough, roll into a ball, wrap and refrigerate for about 20 minutes. 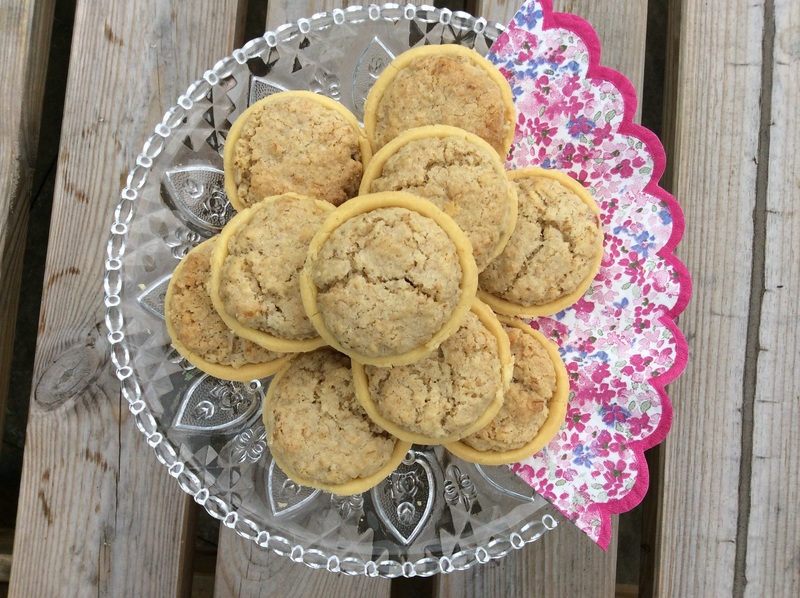 The Topping – Beat 120g soft butter with 100g soft brown sugar until light and fluffy. Then mix in 150g Gluten Free Rolled Oats (I used Nairns) 60g of Ground Almonds, 2 teaspoons of Almond Essence, and 2 tablespoons of Jam (I used a new jam from ‘Mrs Darlington’s’ – Peach Melba). I guess this now resembles something akin to flapjacks. Remove the pastry from the fridge. You will need to give this a little knead to make the pastry more pliable and then roll out to the desired thickness. 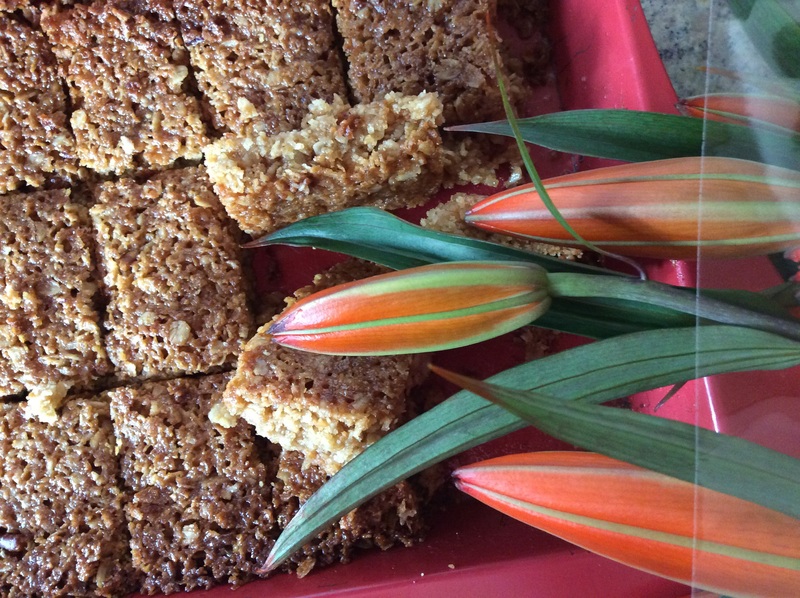 Using your pastry cutter, cut out the pastry discs and place into the pastry baking tray. Place 1/2 a teaspoon more of jam, into the bottom of each pastry round. Roll the ‘macaroon’ mix into balls, no bigger than a walnut, flatten a little and then place on top of the jam, and into the pastry shape. No need to press down as the cooking will do this for you. Bake then on the middle shelf, for approx 18 – 20 minutes until cooked and the tart has a golden look. You’ll probably have to bake one tray at a time. Once cooked, leave to cool completely before removing from the tray, as the gluten free pastry is a little fragile at this stage. I am also sharing this post with others for ‘Credit Crunch Munch’ May 2015. As I was able to use up some ingredients I had left in the cupboard, namely the rolled oats. Always a tricky one! And now it’s recipe time! I think it’s fair to say, that I have got to grips with baking cakes. Gluten free pastry on the other had is a whole different ball game. The structure of the flour is all a bit different in gluten free baking and more often than not you end up with either a bit of a sloppy mess or something as hard as nails! But I can tell you, anything is just about possible. Having Coeliac Disease, does not mean you should miss out! 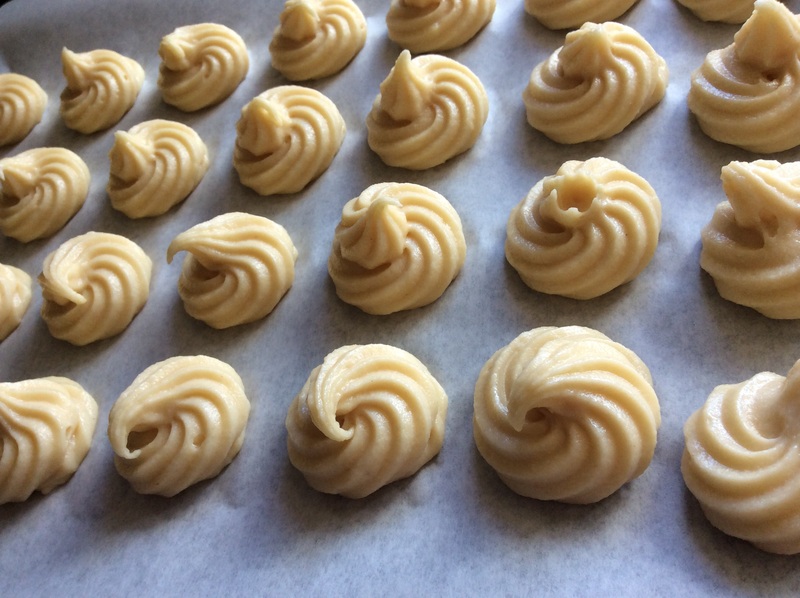 So now and in association with some fellow baking bloggers – http://www.bakingqueen74.co.uk & http://www.thecraftylarder.co.uk and their May 2015 topic Perfecting Patisserie – I bring you – Gluten Free Profiteroles! 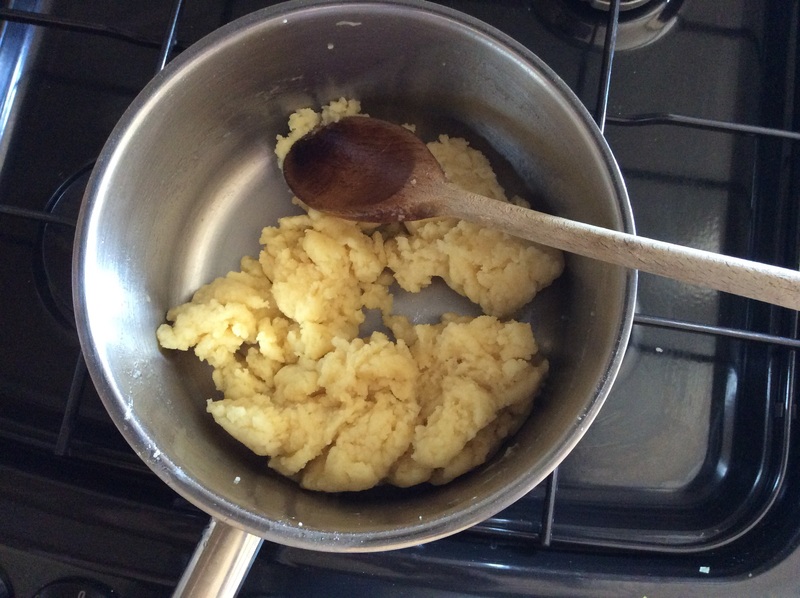 To make the Gluten free Choux Pastry, put the water and the butter in a pan, and heat, hove a medium flame/heat, until the butter has melted. Try not to let the water boil as the water will evaporate and you will lose some of the air needed in the pastry as it cooks. Remove this from the heat. 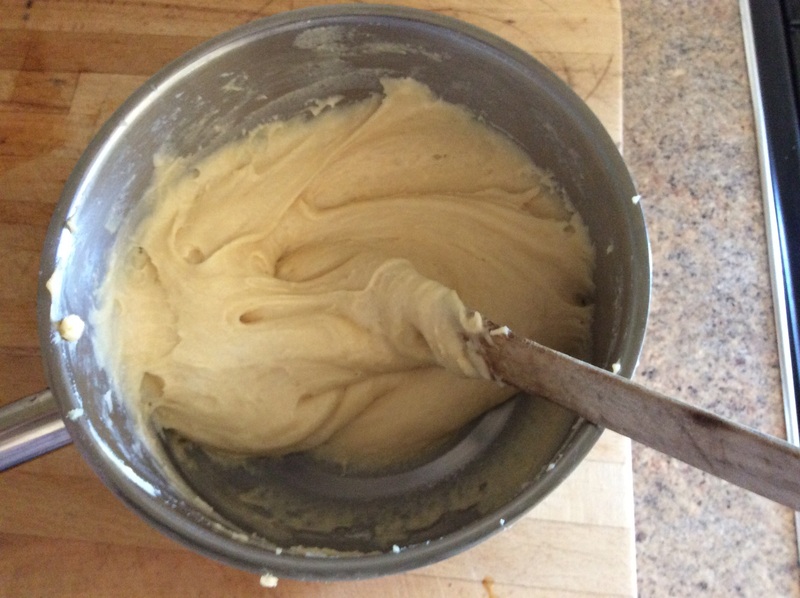 Into to this then, pour in all and both the gluten free flours at once, in one go and beat until the lumps have gone and you have something resembling this….at this point the mix should be clean from the pan as shown.. Which is a very pipeable mixture. It’s a bit of hard work to get to this but keep beating! This is a fairly crucial stage to the method. The mixture should just be warm to touch and so now place this mixture into a piping bag with whatever nozzle you choose (I used a star nozzle) and then pipe onto a baking sheet, lined with greaseproof paper. 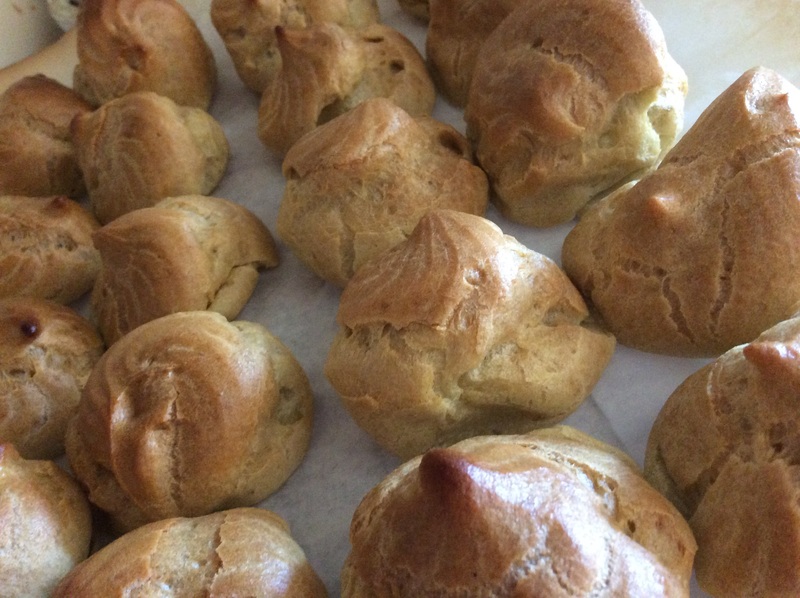 You should get at least 20 gluten free profiteroles and pipe them as shown, or use a plain nozzle. Place place these then into the preheated oven and bake for approx 20 – 25 minutes, when then should be nicely browned and come away from the sheet. Remove from the oven and allow to cool. Pearce each gluten free profiterole with a small knife/skewer to allow some steam to escape. Allow to cool fully before filling and covering. For the filling whisk the 200ml double cream. Place into the piping bag. Now I use disposable icing bags, which would allow me at this point to just snip off the end. The bag is then stable enough to enable me to pipe directly into the hollow of the profiteroles. 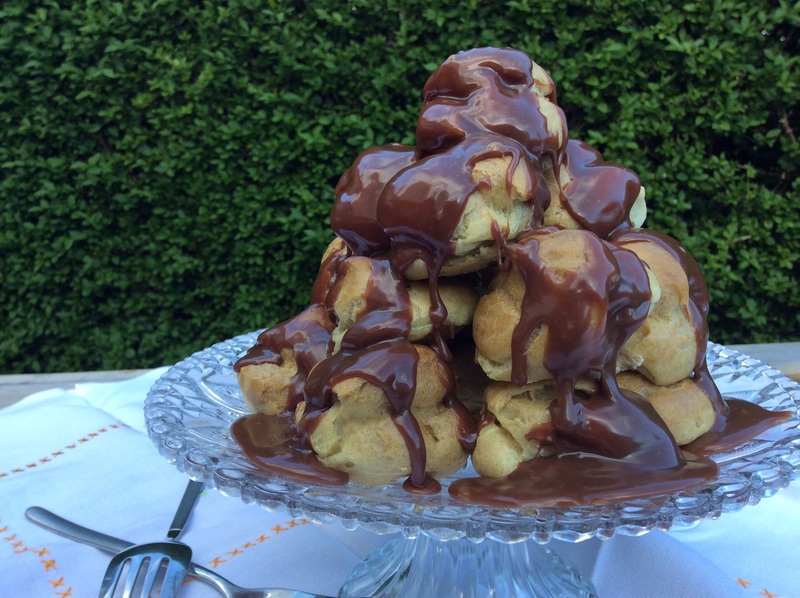 Assemble your gluten free profiteroles as a pyramid or if your prefer straight into bowls ready to serve…. To make the sauce. Place the Callebaut chocolate chips into a small mixing bowl. Over a medium heat, warm the remaining double cream in a pan, until just simmering point, stirring occasionally, (don’t let it boil, or stick to the bottom of the pan) and then pour this over the chocolate chips and stir until the chocolate has fully melted and you have a lovely shiny and smooth sauce. I have alluded on an earlier post, but as its Coeliac Awareness Week, I wanted to share in more detail. There are others out there, who are having to cope with symptoms they are not able to pin point, so here is our story, which will be a permanent fixture on the blog. It all began in the summer of 2012. Noah is around 18 months old and we are about to embark on a summer holiday with the family and the in-laws in France. Living as we do ‘up-North’, an overnight stay was required in Portsmouth. However we didn’t have the start we would have liked and Noah was very poorly on the way down. Something that had not happened before, but as it was his first long trip in the car, we put this down to travel sickness and perhaps one too many sweets…..
And then the most stressful 3 months followed. Noah’s health deteriorated rapidly. Noah wasn’t getting any better after our return from holiday and although he would eat, it wouldn’t take long for it to return out of one or another or even both ends. We would wake to him during the night screaming in pain and having just thrown up. We were at our wits end and the washing machine didn’t stop. But we somehow continued, tried to live our lives. We would get calls from the nursery telling us Noah had been ill and because they had a 48 hour policy, we had to stay at home with him. We both had some very understanding employers. But as soon as he had been ill, he was much better! All smiles and laughter. It was getting a little frustrating. That was until a dear friend of ours suggested we try an osteopath. Yes and Osteo! We would try anything. After all the NHS wasn’t being very helpful. And so still screaming in pain and discomfort, we took Noah for his appointment. He asked us lots of questions and made some rather insightful insights. And the best thing Noah could have done at that point? He threw up. All over the Osteo and the floor. And again after, Noah was the better child again, all smiles and cheer. But more importantly, the Osteo was able to look at the vomit and conclude that everything Noah was eating wasn’t being digested, and was somehow fermenting in his stomach, until such time as it needed to come back up! With immediate effect we were told to remove gluten and lactose from Noah’s diet. Within the week Noah practically transformed (and so did our bank balance – this stuff wasn’t cheap!). One small step. But were still needed to find out what was wrong with our little boy. We made a rather frustrated and overly concerned call to the health visitor and managed to get a rather hasty appointment with a doctor to urge for a referral. In the meantime bloods were taken and we were given an iron supplement as Noah height and weight were well that for his age. But we were at least able to rule our Diabetes. And over the next couple of months, Noah came ‘back to life’, our little boy started to return, but it would still be another 3 months (some 6 months after our holiday) until the specialist appointment, for which we had to return gluten to his daily diet. But for now we made the necessary arrangements at home. A new and separate toaster, his own butter and jam. We dissected the food labels and became experts in what contained gluten and what didn’t. Cooking fresh, became the order of the day, which for us was not a problem. Cross contamination became the watch word. The day of the specialist appointment came. We had put Noah back onto a diet containing gluten and the team at North Staffordshire Hospital could not have been anymore helpful. It was a delight that finally we could get some answers from someone who wanted to help. The taking of the bloods wasn’t a pretty ordeal, but it was required. But after all the questions and answers and after the test results were returned, it was without doubt, Noah had Coelaic Disease. No need for a biopsy the blood results were conclusive enough, but he wasn’t lactose intolerant. And now, Noah is Noah. He started school September 2015 and we will turn to a new chapter in his gluten free life as he starts to learn more about what he can and can’t eat. He will be in the hands of others. We have had words with the school caterer and they are very accommodating. We don’t want all the hard work to come undone. Noah has had 3 years of great blood tests and we continue to be under the specialist care of North Staffs, even if that is further away than our nearby hospital. He will continue to have his annual check up. Noah knows that he has ‘Coeliac Disease’, he knows that he needs to eat foods that are ‘Gluten Free’. And here this part of the story ends. But it does not stop. As he grows he will find out for himself, more and more of what his body can and can’t take. And as he grows the choices will be wider, even in the last 3 years we have seen the food industry adapt. Who knows where this will lead in the coming years. 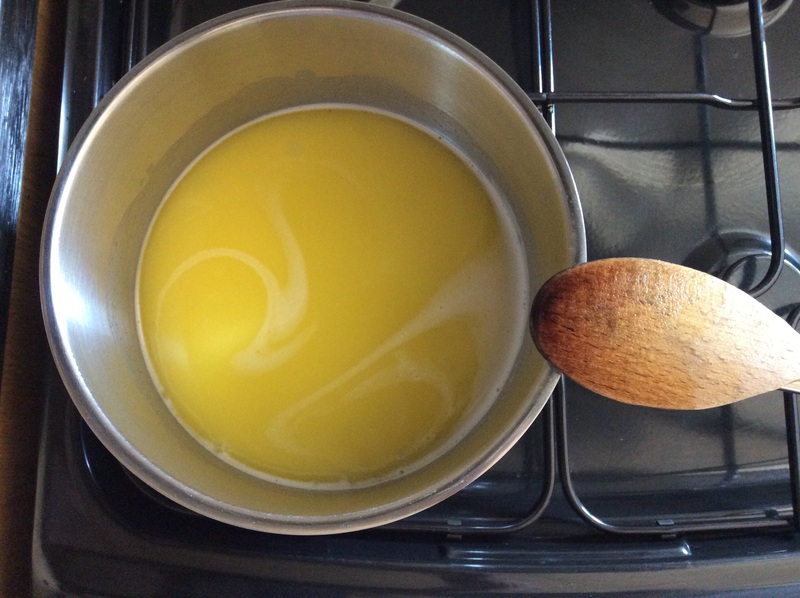 In a large saucepan (it will need to hold all of the ingredients), over a moderate heat on the hob, melt the butter with the vanilla extract, the syrup and the sugar. You need to make sure the sugar has dissolved, but take care not to burn it! Then simply remove from the heat and stir in thoroughly the remaining ingredients so that they are completely covered in the butter and sugar mix. Pour this into your prepared tin and press down the mix. You’ll need to make sure the mix is pressed down well, (I,used the back of a tablespoon) otherwise the finished bake will fall apart when it’s finished. Ensure you get right into the corners! Bake in oven, on the middle shelf for approx 18 mins, it might look a little ‘wobbly’ in the middle but it will firm up as it cools. Leave to cool and slice up and enjoy. But if you can leave it for a day or so, do so. It will taste better.